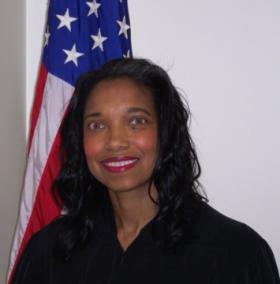 The jury in the trial of Judge Tracie Hunter has found her guilty on one count, but could not reach a unanimous verdict on the other counts, resulting in a hung jury. The count she was found guilty of was for Having an Unlawful Interest in a Public Contract: essentially for getting public employees to get restricted documents to help her brother, a juvenile court employee who was facing termination from his job. The charge is a felony, which means Hunter is suspended without pay, and will effectively cause her to be removed from the bench, pending the appeal in the case. The charge carries a presumption of probation, but she could be facing up to 18 months in prison. The hung jury on the other counts means that she could be tried again. That decision will probably be announced by prosecutors some time in the future. Obviously she will appeal the conviction, which will take some time: sentencing on the guilty count is set for Dec. 2. The closing arguments concluded yesterday, and the jury is deliberating today. Cincinnati.com will carry the verdict live when it comes back… probably the best way to keep tabs is to follow on Twitter. It’s a complicated case, much of it what we call a paper case: that is, based on documents, and there are multiple charges, so it would not be unusual for the jury to deliberate for more than one day. Update: According to @WCPO, deliberations have concluded today, and will resume tomorrow.